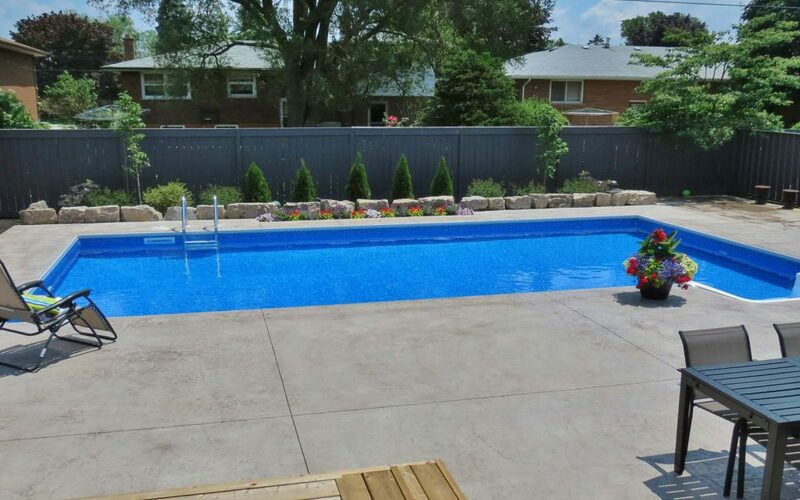 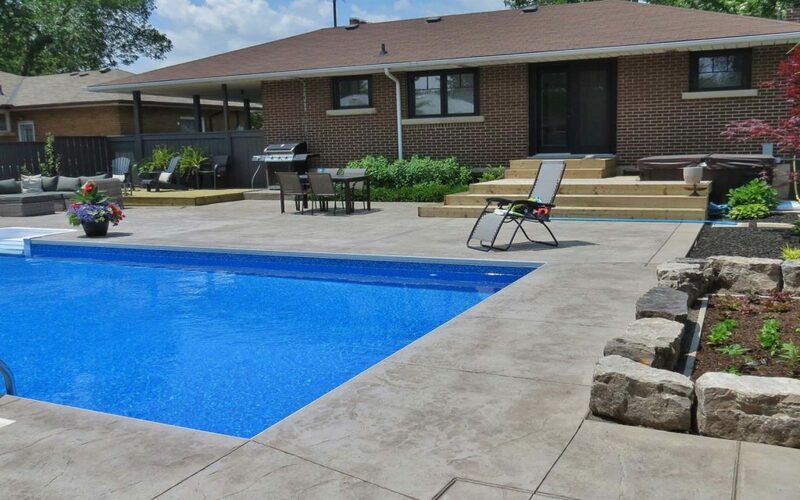 This rectangular contemporary pool design in Hamilton isconsidered as a classic and modern at the same time, giving a sleek and clean feel. 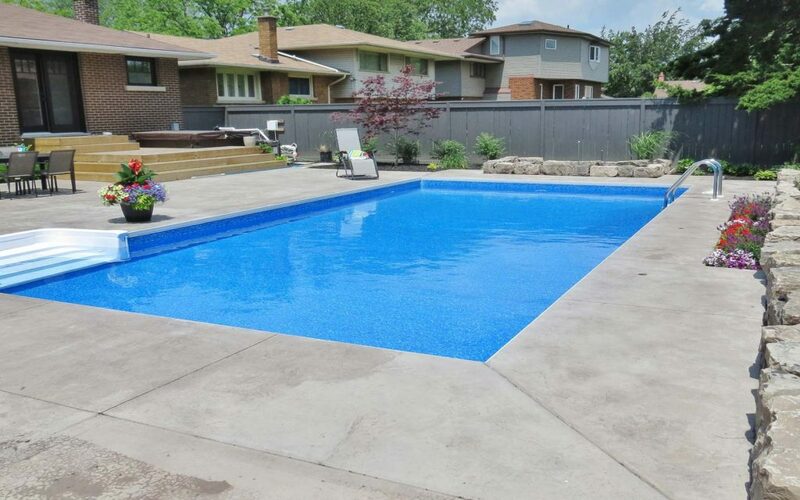 With the right surrounding pool elements, a geometric shaped pool will never go out of style. 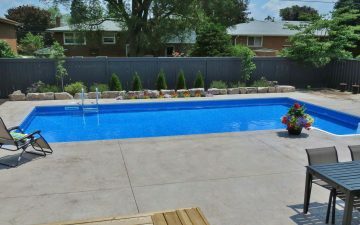 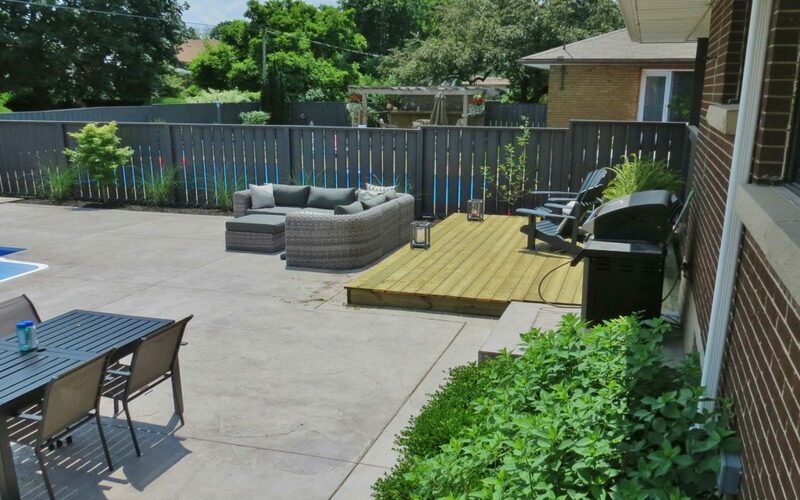 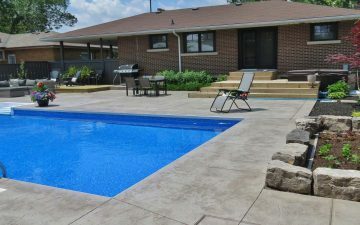 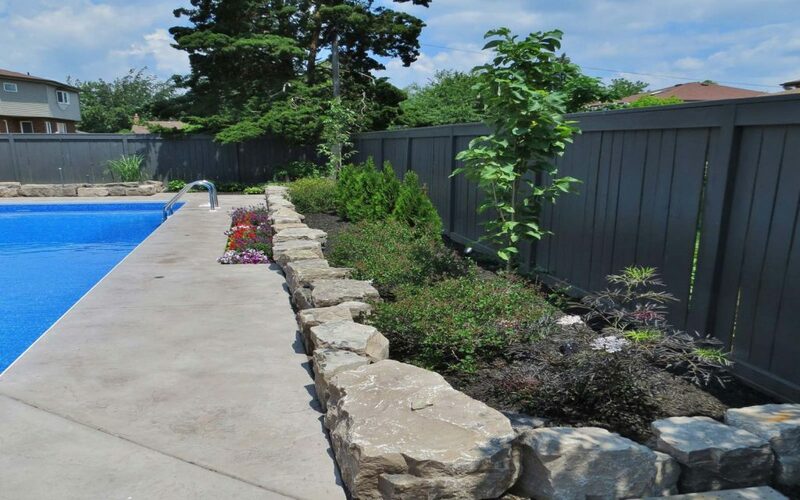 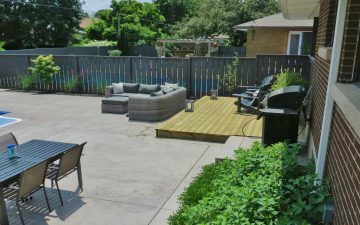 Smooth and clean concrete pool patio, warming colour and texture of the wood deck together with stone garden wall and modern furniture create a sophisticated contemporary look of the back yard.